Quick easy and extremely tastey noodles are a firm favourite with many. Check out the following videos for the Desi spin on this lipsmacking dish. 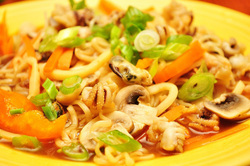 If you have a Desi inspired recipe for noodles please send them in to us.